It’s not unusual to see Altair Louvre Windows in award winning designs and in the pages of glossy magazines. Not only are they a very stylish window, but they also remain functional at unusual shapes and sizes, allowing them to be fitted in unusual wall spaces, and they can deliver ventilation and privacy simultaneously. These two very practical benefits make them an ideal choice in bathrooms of homes and apartments of all sizes, styles and budgets. 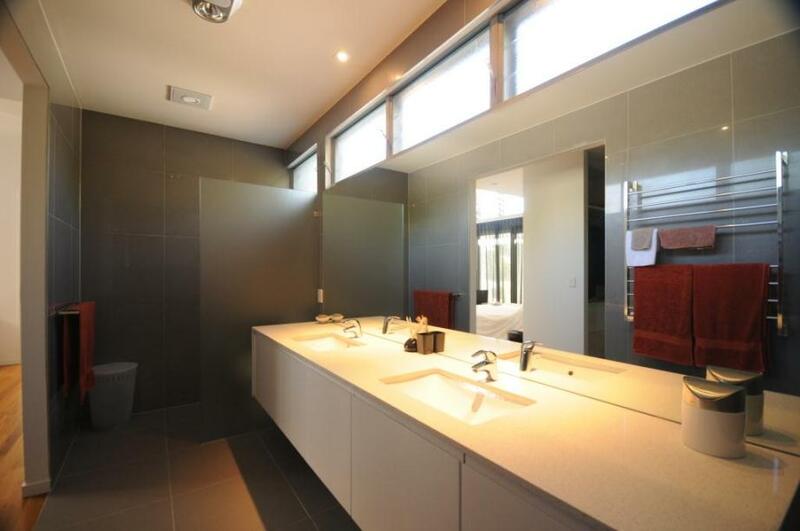 With shower cubicles, mirrors, cabinets and doorways all needing to be fitted in, there is often not a lot of wall space left for windows in a bathroom. And small windows often don’t work very well. Tall and narrow sliding windows tend to topple as they slide and, with a fixed plane of glass, offer very limited ventilation even when fully open. Awning windows primarily open at the bottom of the window and therefore do a poor job of letting steam, which rises, escape. 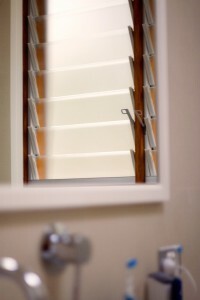 Casement and double hung windows are seldom used in bathrooms due to space limitations. 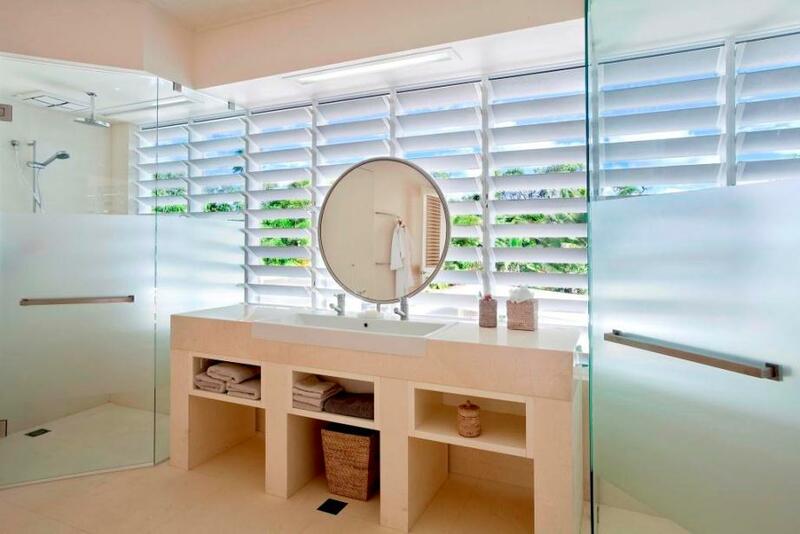 By contrast, Altair Louvre Windows are ideal for use in bathrooms because they remain perfectly functional even when tall and thin or wide and short. This allows them to be used in whatever space is available. And with no fixed panes of glass and openings on both sides of each blade they maximise ventilation, allowing bathrooms to remain cool in summer and allowing steam to be quickly vented after hot winter showers. 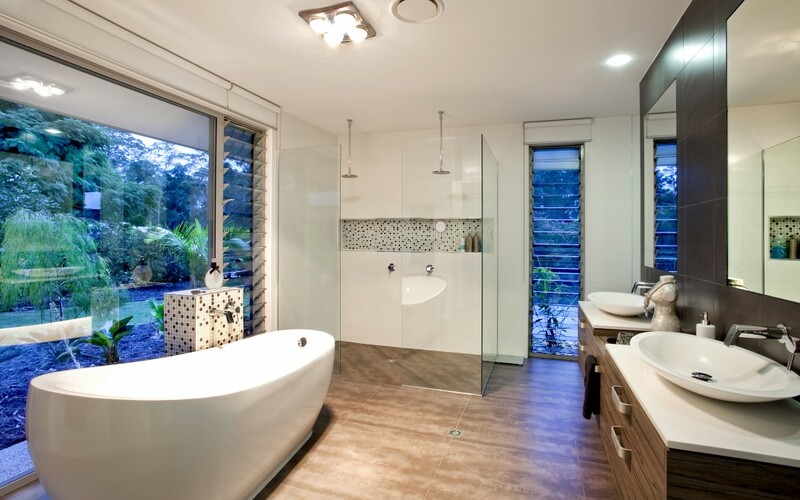 Even when using obscure glass, sliding windows and casement windows in bathrooms offer a stark choice: Open the windows to allow some ventilation, but also allow neighbours to see into your bathroom… or keep the windows closed for privacy and endure a stuffy, steamy bathroom. Neither are attractive options! Altair Louvre Windows offer a huge benefit in this regard. 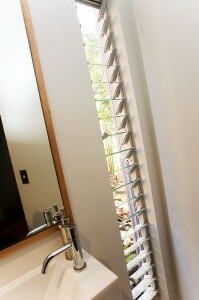 Not only can timber or aluminium blades be used for ultimate privacy, but they can also be opened very slightly to retain privacy while, with openings on both sides of each blade, still delivering significant ventilation to keep your bathroom steam-free and comfortably cool.